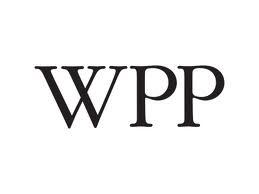 WPP’s wholly-owned operating company Kantar, the data investment management group, has made a follow-on investment in Enprecis Inc., a company which uses a proprietary online platform to collect and analyse data about consumer experience for the automotive industry. Founded in 2006 and based in Seattle, Enprecis has developed, ‘Continuous Quality Insight’ (CQI), a proprietary online platform to collect and analyse customer experience data for the automotive industry. The platform connects automobile manufacturers to the views of their customers with unprecedented speed and detail, informing improvements to vehicle quality and design, and identifying opportunities to strengthen loyalty. The company’s gross assets in 2012 were US$1.6 million. Enprecis clients are most of the world’s major automotive manufacturers. Enprecis will be aligned with the automotive practice in TNS, the global market research company that is part of Kantar. It follows the acquisition of Chinese company, Sinotrust Market Research earlier this year. Haynes Publishing Group P.L.C., the publisher of automotive and motorcycle repair manuals, has reported falls in revenue and profit in its results for the year ended 31st May 2013. However, the profits were slightly ahead of market expectations. Haynes Publishing Group P.L.C. , the UK based publisher of automotive and motorcycle repair manuals, has acquired the assets of Clymer and Intertec Manuals from Penton Business Media for $9.25 million (£5.85 million) in a cash and debt deal, with around 60% of the funding for the acquisition coming from internal cash. Clymer is located in Overland Park, Kansas in the United States. Founded by Floyd Clymer (1895-1970), Motorcycle Hall of Fame’s ‘pioneer in the sport of motorcycling’ Clymer is a publisher of DIY repair manuals for Motorcycle owners. It also has a significant share of the DIY Marine (Inboard and Outboard) Manuals market; publishes a range of DIY manuals for personal watercraft and snowmobiles; and, under the Intertech name, publishes manuals for farm equipment including Tractors, publishing 432 manuals across thousands of models in digital and print. For the financial year ended 31 December 2012, Clymer had net assets of $2.8 million (£1.8 million), unaudited revenue of $4.3 million (£2.7million) and unaudited pre-tax profitability of $1.0 million (£0.633million). The acquisition will be earnings enhancing and also release significant efficiencies in the areas of print cost, warehousing and distribution, and editorial/origination, with additional digital offerings representing further opportunities for growth. With almost 60% of the funding for the acquisition coming from internal cash, the Group remains financially well placed to continue its pursuit of other new opportunities as they arise. UBM plc has acquired Negocios nos Trilhos, South America’s leading railway industry exhibition, from Grupo Revista Ferroviária on behalf of UBM Live. In 2011 Negocios nos Trilhos generated revenues of approximately £1.6 million. As at 29 March 2012, the business’ gross assets were £0.7 million. The acquisition is expected to exceed UBM’s cost of capital criterion in its first full year of ownership. Now in its fifteenth edition, Negocios nos Trilhos – literally, ‘Business on Rails” – is a cargo and public rail transport tradeshow which is held annually in Sao Paulo. Last year’s show attracted 180 rail equipment and technology exhibitors from 14 countries and 7,000 railway professionals drawn from both the public and the private sectors. The 2012 event will take place 6-8 November. The passenger and cargo railway industry in Brazil and other South American countries is expanding rapidly as the region’s economic development advances. Brazil has also seen accelerated investment in mass transport systems driven by the World Cup in 2014 and the Olympic Games in 2016. Negocios nos Trilhos is a complementary fit with UBM Live’s Intermodal transport exhibition in Brazil. The business also overlaps with UBM Global Trade’s US rail industry products.